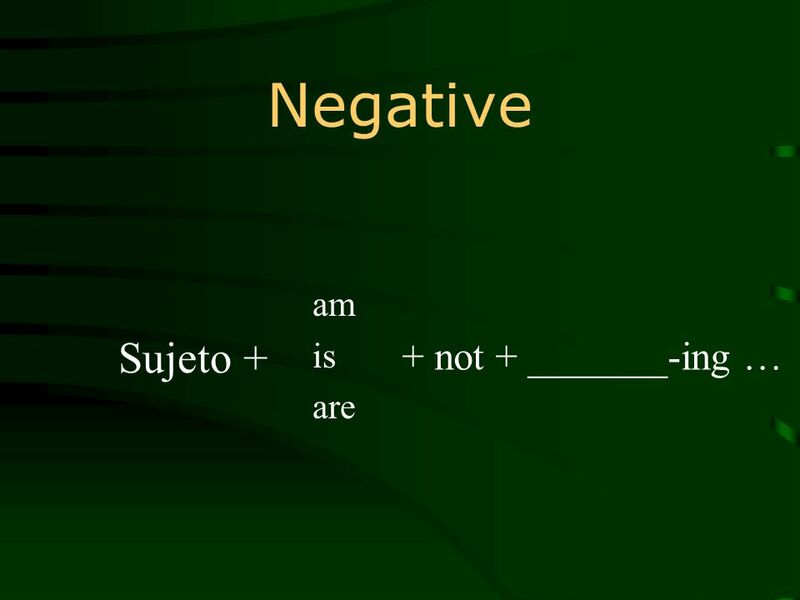 4 Interrogative Am Is Are + sujeto + ____-ing …? 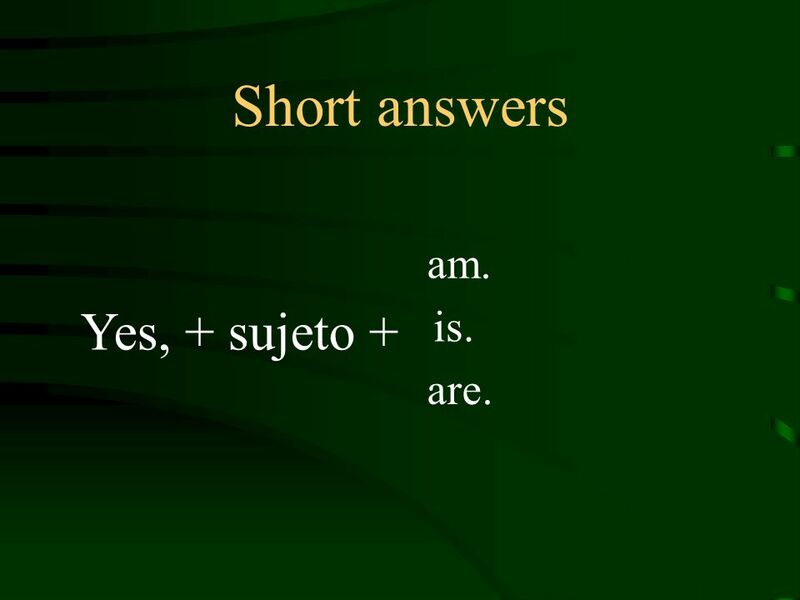 5 Short answers Yes, + sujeto + am. is. are. 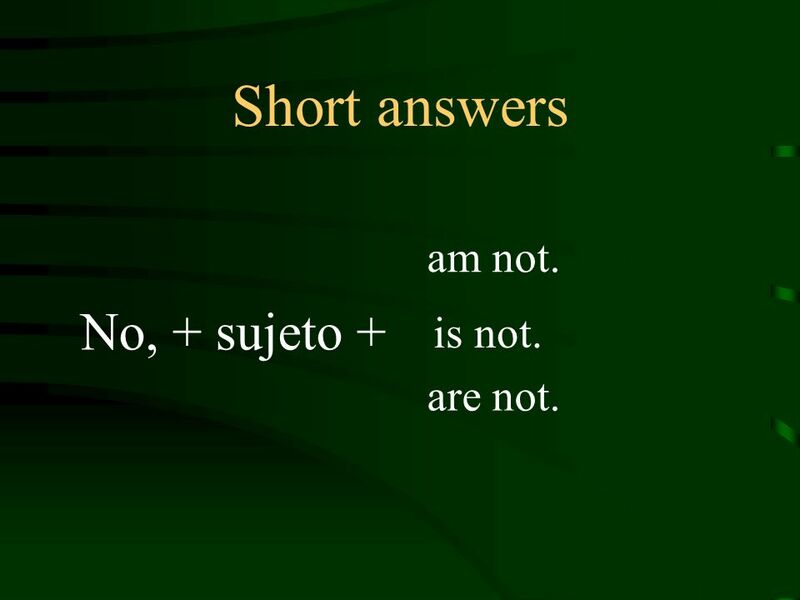 6 Short answers No, + sujeto + am not. is not. are not. 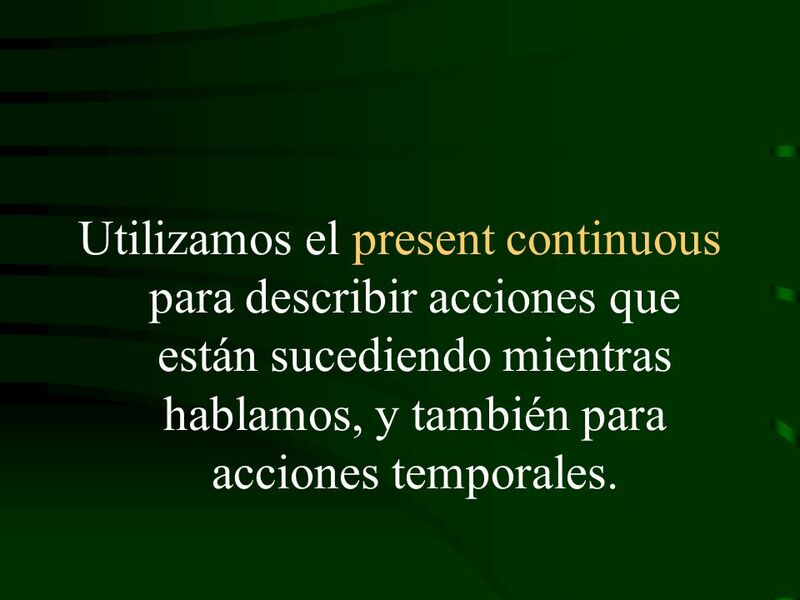 7 Utilizamos el present continuous para describir acciones que están sucediendo mientras hablamos, y también para acciones temporales. 8 We are watching TV now. She isnt listening to music at this moment. I am wearing jeans today. 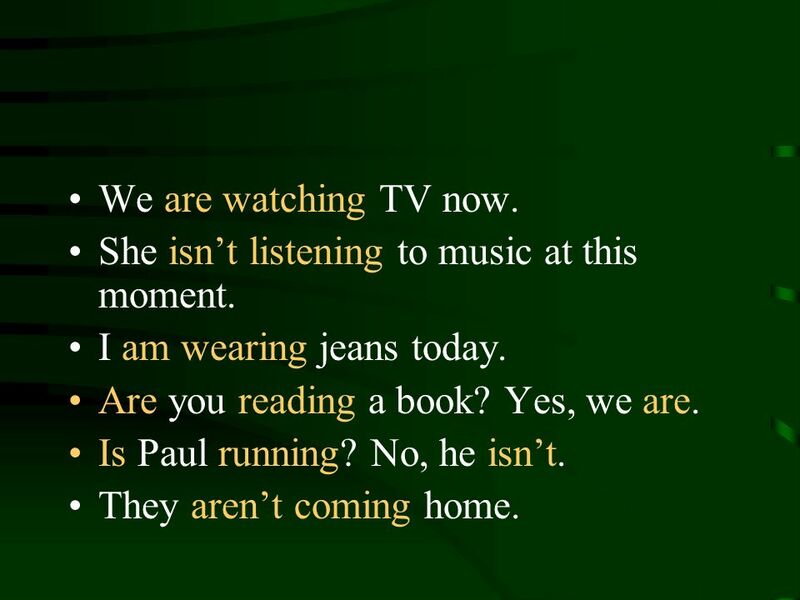 Are you reading a book? Yes, we are. Is Paul running? No, he isnt. They arent coming home. 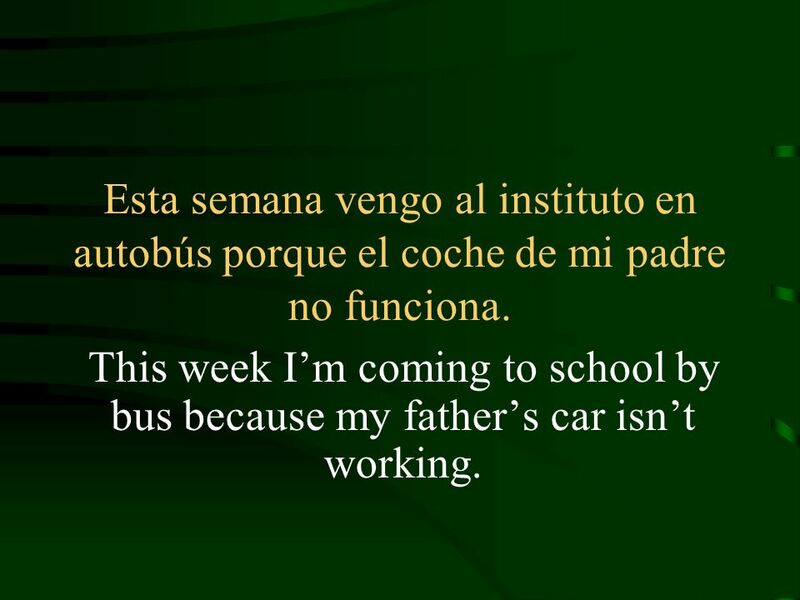 9 Esta semana vengo al instituto en autobús porque el coche de mi padre no funciona. This week Im coming to school by bus because my fathers car isnt working. 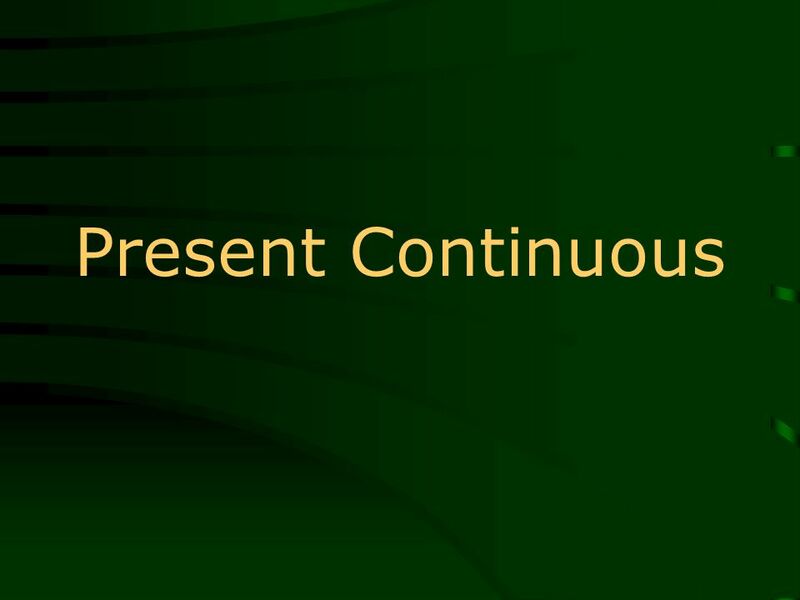 Descargar ppt "Present Continuous. 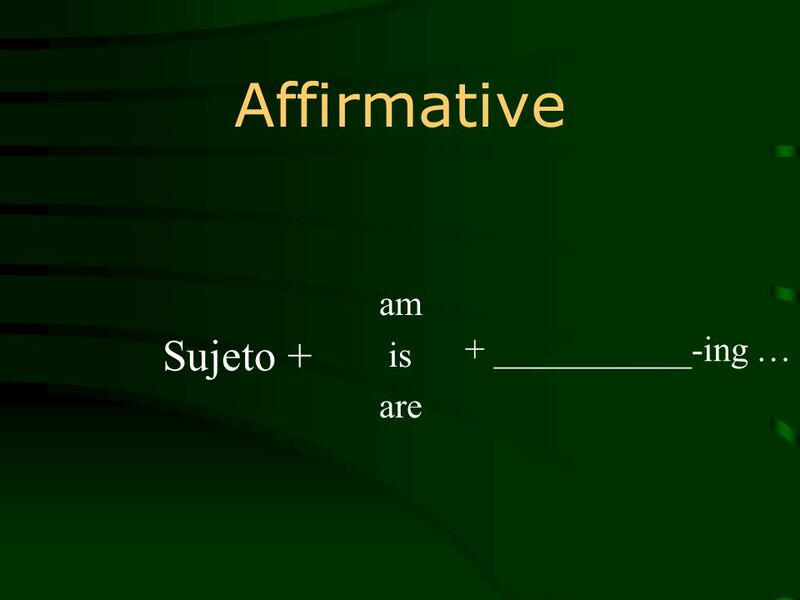 Affirmative am is are + ___________-ing … Sujeto +"
VERB “TO BE” PRESENT TENSE. 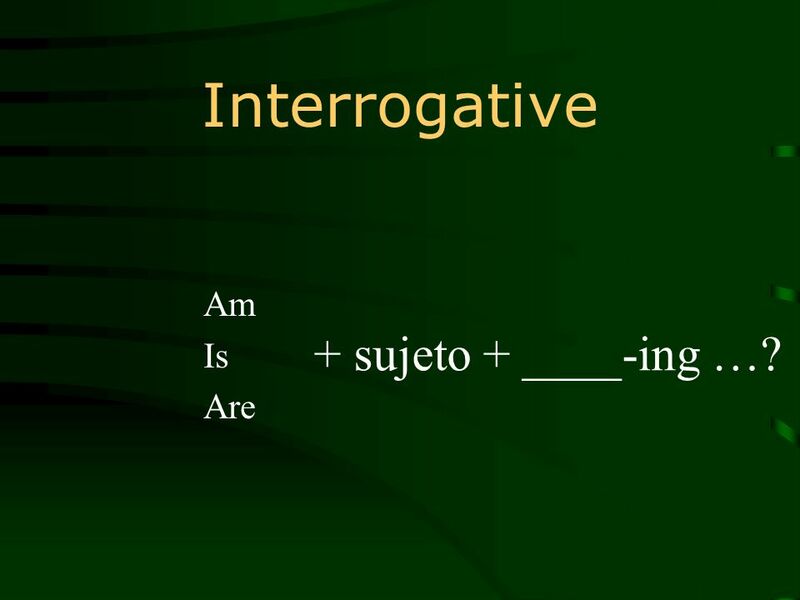 EL VERBO IR = TO GO. Unit 7: All About People Oscar Wilde Henry VIII William Shakespeare. Used to. Used to Es una forma verbal que no tiene presente sino sólo pasado. FUTURE TO JUMP= SALTAR. AFFIRMATIVE Long form I will/shall jump Yo saltaré You will jump He will jump She will jump It will jump We will/shall jump You. PRESENT SIMPLE TO LIKE= GUSTAR. PRESENT SIMPLE TO PLAY= JUGAR. PAST SIMPLE REGULAR VERB TO WORK= TRABAJAR INFINITIVE/PRESENT-PAST-PARTICIPLE WORK-WORKED-WORKED. CLASS ELEVEN SIMPLE PRESENT. AFFIRMATIVE I work at Cesde he teaches English she passes the movies it uses the tools We you study at Cesde they play on.